As it was expected beforehand, Apple’s iPhone XS and iPhone XS Max ended up focusing heavily on camera updates. The 2018 iPhone lineup finally features proper depth-of-field manipulation, as it’s taken Apple two years to catch up with Google in this regard. Apple’s also vastly increased the scope of the A12 and its Neural Engine. The Neural Engine will now aid the iPhone XS and iPhone XS Max’s ISP (Image Signal Processor) in computations. This will allow for more calculations and aid features such as facial recognition, multiple exposures and more. We’ve got a camera sample comparison between the iPhone XS and iPhone X today. So head on below for more details. 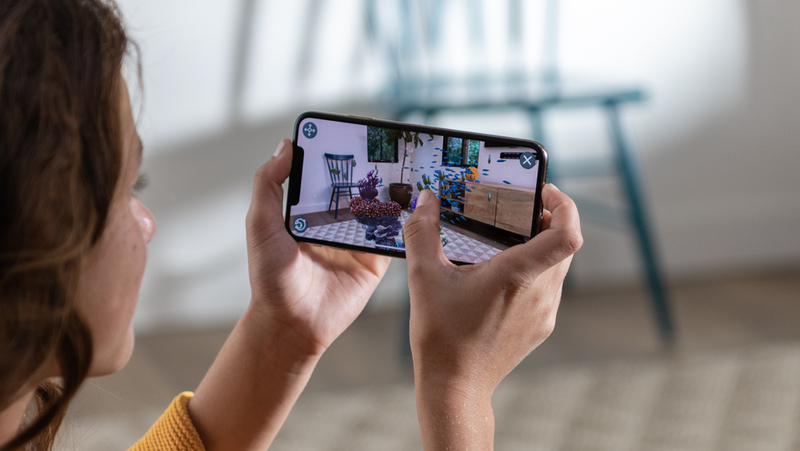 Apple’s iPhone XS and iPhone XS feature Smart HDR, which is aided by their Neural Engine. The iPhones’ ISP (Image Signal Processor) with the help of its Neural Engine allows the A12 SoC to better capture brightness and exposure. The 2018 iPhones also feature depth-of-field control and allow users to decide on background blur with the help of a simple on-screen slider. Just how much of a difference do these upgrades make? A trillion operations per second (Apple’s official number for the 2018 iPhones’ ISP) is a big number after all. 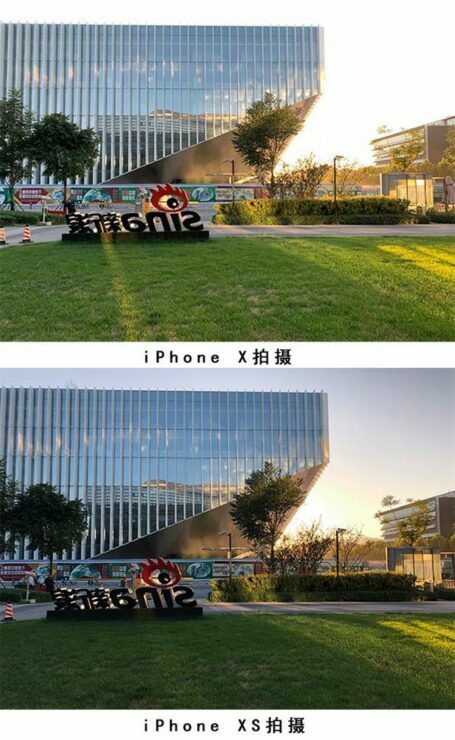 We’ve got the first camera samples of the iPhone XS today. These show that Apple’s changes produce a startling improvement in rear camera performance. The changes remind us of the iPhone 5s, which is the last ‘S’ device Apple executed perfectly, prior to this year’s iPhone XS and iPhone XS Max. The images above show the clear difference made by Apple’s Smart HDR for the iPhone XS and iPhone XS. Exposure is more balanced, and details are not left out in outdoor scenarios. The dark and light spots of the sky are clearly visible and can be differentiated with ease. Overall, the images present a more realistic result for the iPhone XS, especially when compared to the iPhone X. Moving to low-light results, the difference made by the iPhone XS is clearly visible yet again. The smartphone’s ability to control exposure and bright spots play a major role here. To see for yourself, take a close look at the logo on the top right, and the windows of the ground floor in the last image above. 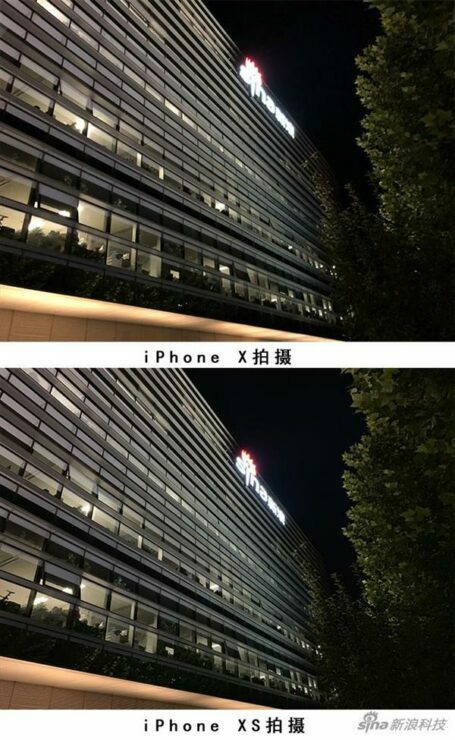 Not only does the iPhone XS shoot a clearer logo, but it also reproduces the scene inside the building perfectly when compared to the iPhone X. A feature that has taken Apple some time to implement is Bokeh or ‘depth-of-field’ manipulation. The company is known to wait before introducing ‘hot’ features on its devices as it dances to its own tune. Bokeh for the iPhone has witnessed a similar fate. Now that it’s official we can take a close look at how the effect looks on the iPhone XS and iPhone XS Max. The GIF above allows just this. Apple’s iPhone XS allows the user to blur out pretty much everything else apart from the toy figure in the foreground. It makes for a nice and pleasing effect that is at par with what other gadgets offer. Camera upgrades form the bulk of Apple’s 2018 iPhone upgrades if we remove the six new cores for the A12’s Neural Engine. The changes will provide a strong upgrade incentive for a lot of users. Thoughts? Let us know what you think in the comments section below and stay tuned. We’ll keep you updated on the latest.